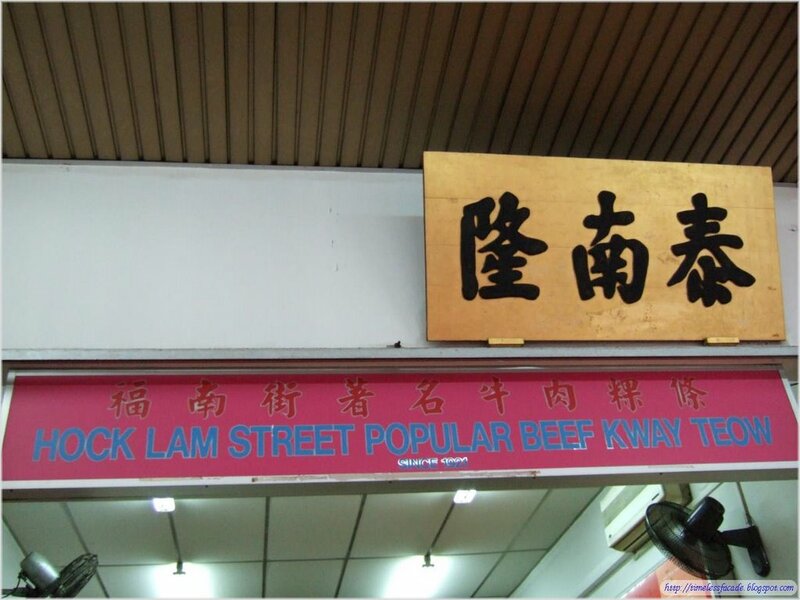 Had a craving for Beef Kway Teow so headed down to Hock Lam @ Purvis Street to try it out. 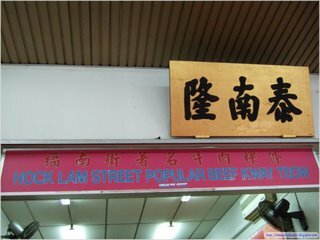 For those who didn't know, Hock Lam has 2 branches - One near Far East Square and the other at Purvis Street. They are opened by 2 brothers and apparently are at loggerheads with each other, with both claiming to be the authentic one. 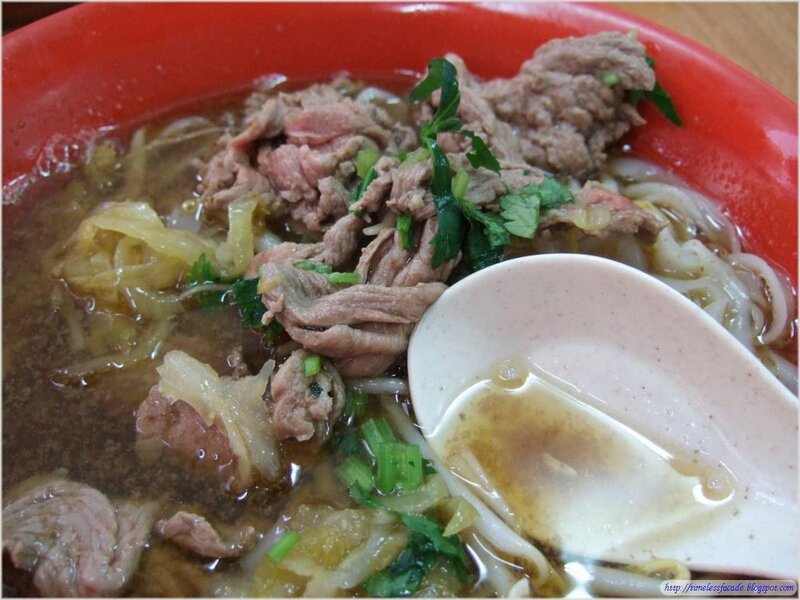 Anyways family fueds aside, I had the Beef Kway Teow Soup whereas my friend had the dry version. At $5/- a bowl, it certainly wasn't in the running for the value for money award. 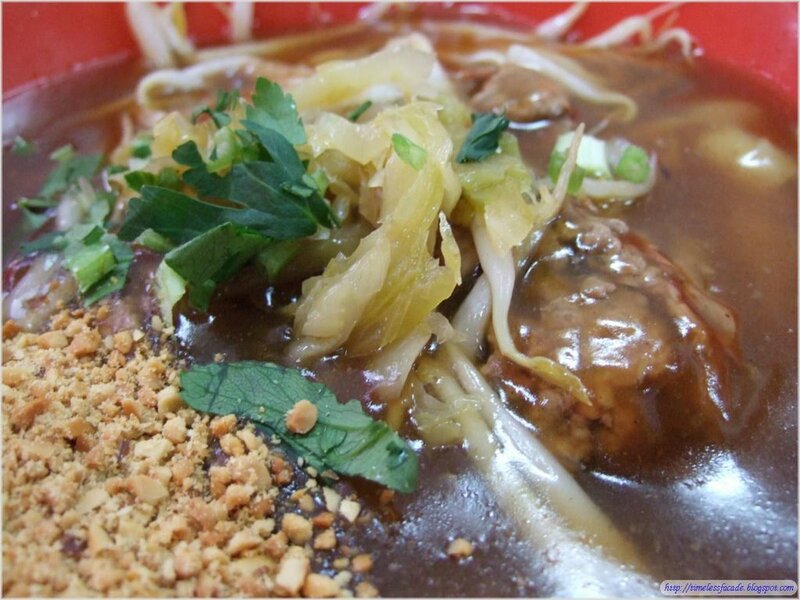 I personally like the soup which is quite light yet flavourful. The beef was thinly sliced and tasted quite good when eaten in a bunch. However, the quantity of beef was pretty limited. I have no idea about the dry version as I've not tried it. But as with the soup version, both were hardly filling.